Driving poses many hazards, not the least of which is all of the combustible materials around you. According to NFPA's 2010 U.S. Vehicle Fire Trends and Patterns, there are over 150,000 automobile fires per year. 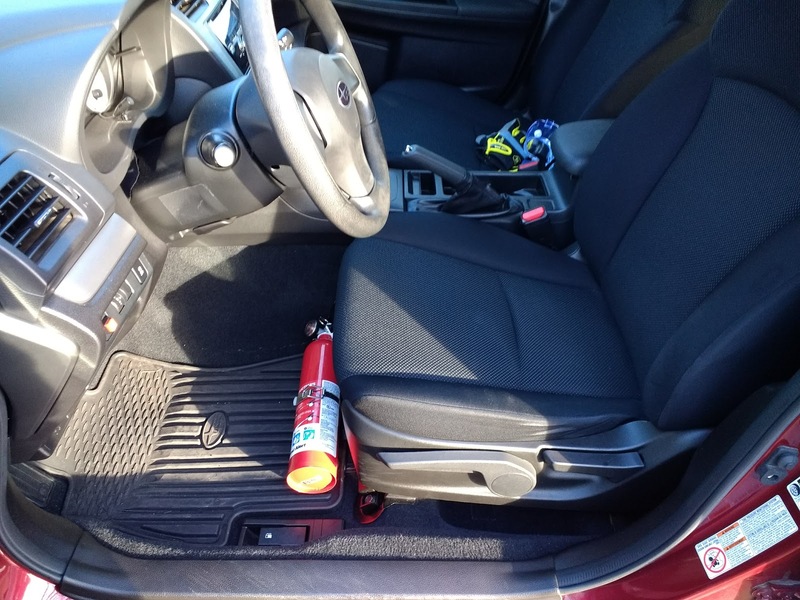 Having a fire extinguisher close at hand gives you options during an emergency. 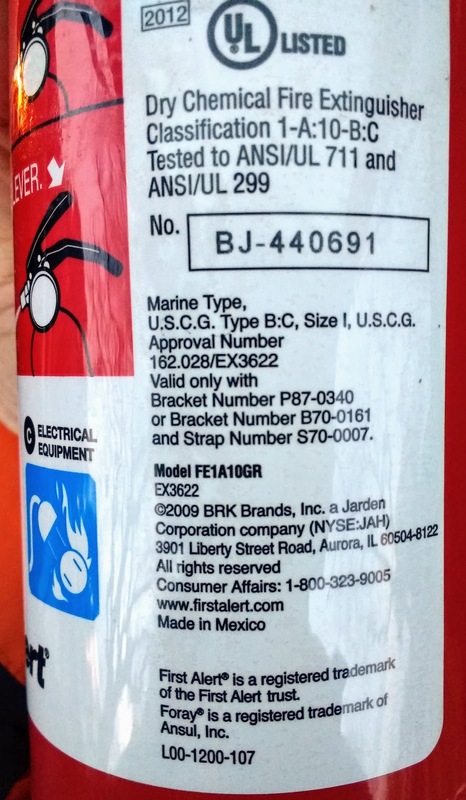 Once you've selected a fire extinguisher of the desired type and size, keeping it securely mounted close-by will ensure it is readily accessible when you need it. 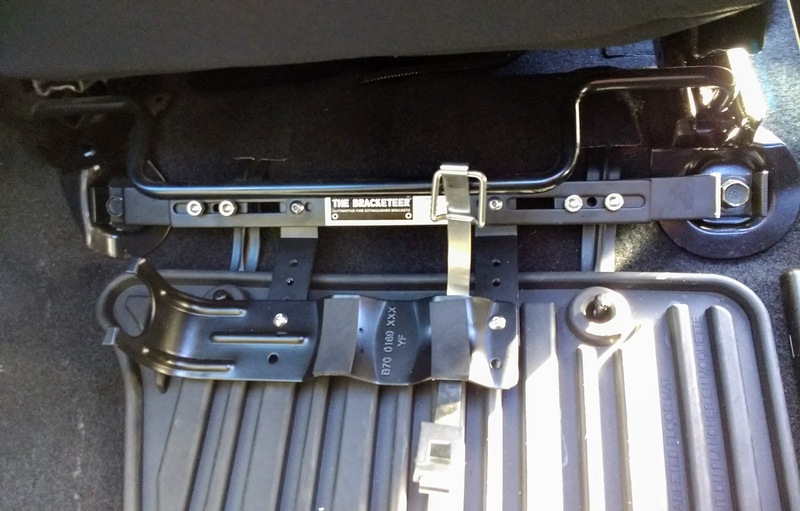 Metal-on-metal solutions seem the most secure to me, so I opted for this universal bracket to go under the driver's seat. 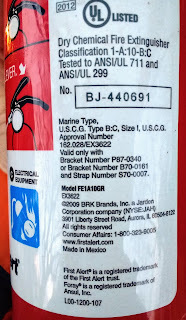 The OEM fire extinguisher bracket has a neck support and a metal band clamp to keep the extinguisher in place. 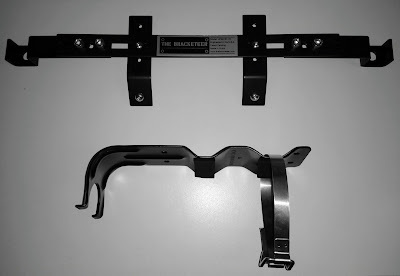 The vehicle bracket and the extinguisher bracket mate with some machine screws. 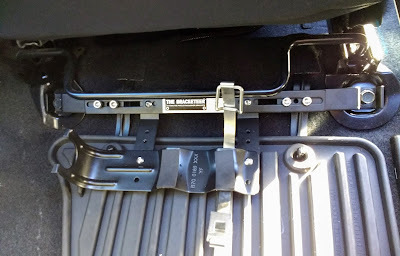 I opted to secure the vehicle bracket onto the seat studs. Simply unscrew from the floor pan and attach the Bracketeer. I tried a number of configurations for the mounting arms, and ultimately settled on having the long part parallel to the floor. 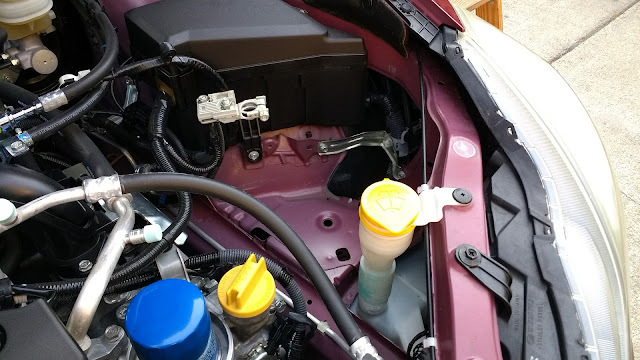 Vehicle mounting bracket secured to seat studs; Extinguisher bracket screwed to vehicle bracket. The floor screws torque to 39 ft-lbs. 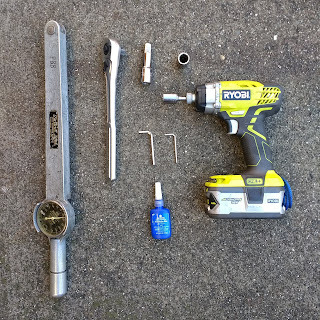 Remember to use threadlocker for the brackets' Allen screws, and make hand tight to about 1.5 Ugga Duggas. New spark plug on top, old on bottom. The recommended replacement interval for my Impreza's spark plugs is 60,000 miles. 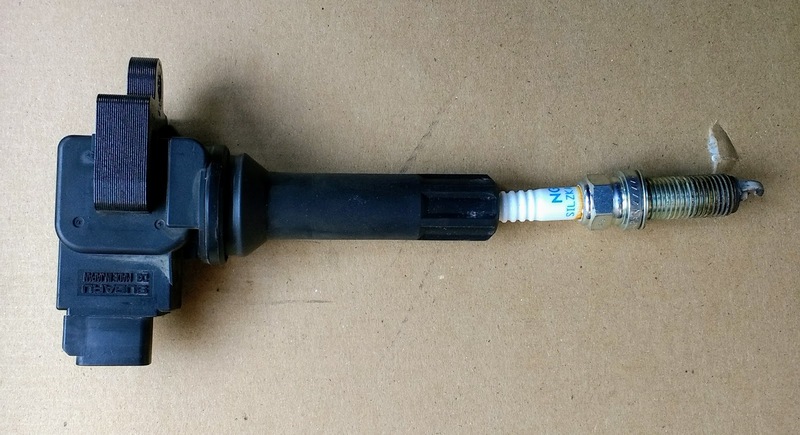 The OEM plugs are NGK SILZKAR7B11. The engine bay is a little tight, so the service manual specifies removing the battery and air cleaner case to make some room. Driver side: battery, mounts, and padding removed. 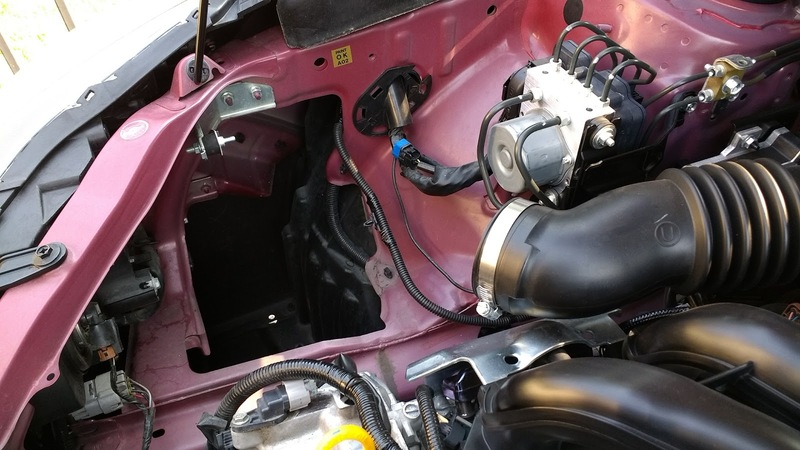 Passenger side: intake, air box, and filters removed. 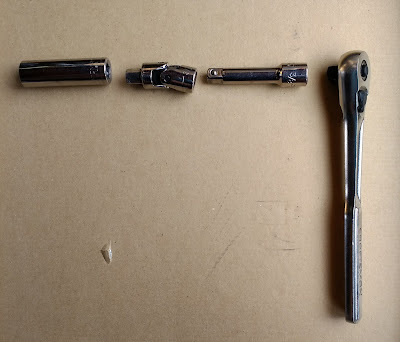 To get at the spark plugs, remove the connector and screw holding the coil pack. 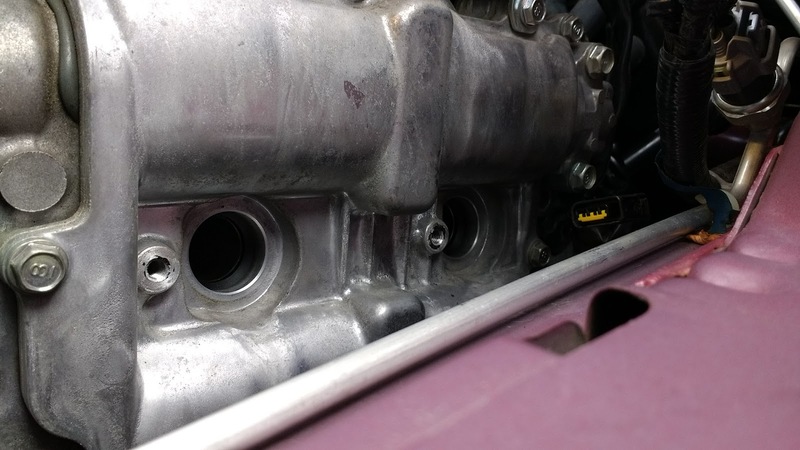 The coil pack screw has a 10mm hex head. 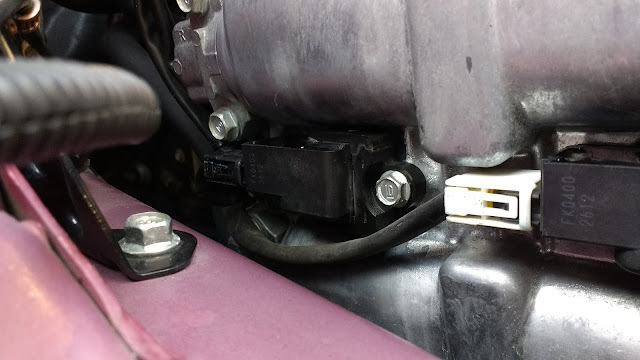 The electrical harness has a single clip on the outer side. The whole affair is a knuckle-buster. I used a wobbly setup to help get at all the screws. 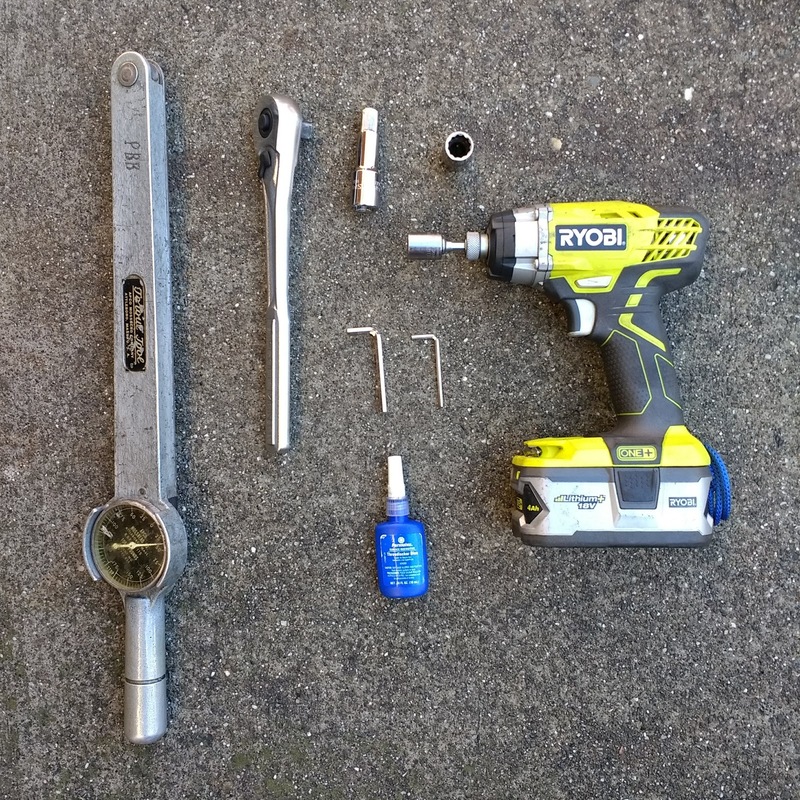 Use a 14mm socket to unscrew the spark plugs. 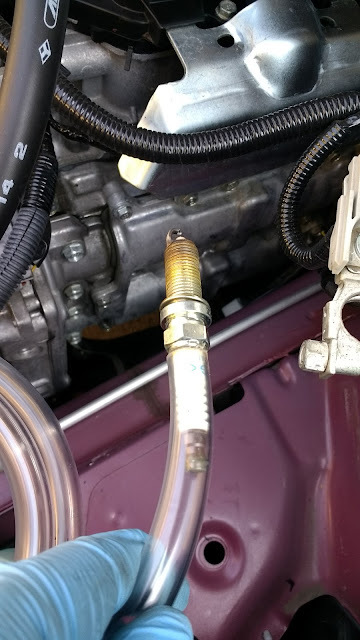 I didn't have a spark plug socket, so a piece of 3/8" hose works as an extraction tool. Assemble in reverse. 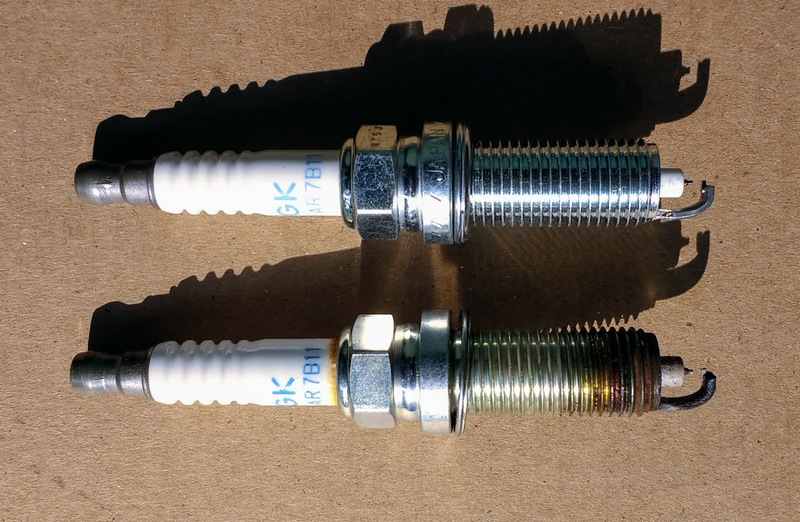 When replacing the plugs, apply dielectric grease to the boot of the coil pack and onto the ceramic stem of the plug. 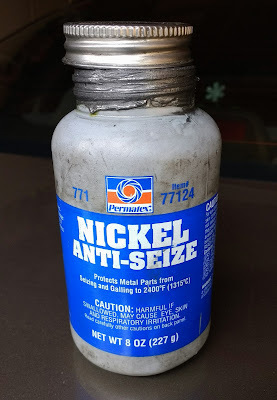 A bit of anti-seize on the spark plug threads will prevent corrosion for the next change. Torque the new plugs down to 12.5 ft-lbs. The coil pack torques down to 8.9 ft-lbs. A journey from Windows .vhd to .img to SSD to HDD to .mrimg to SSD to Windows. "If you have it, then you won't be in need of it." Preparedness can keep bad situations from turning catastrophic. 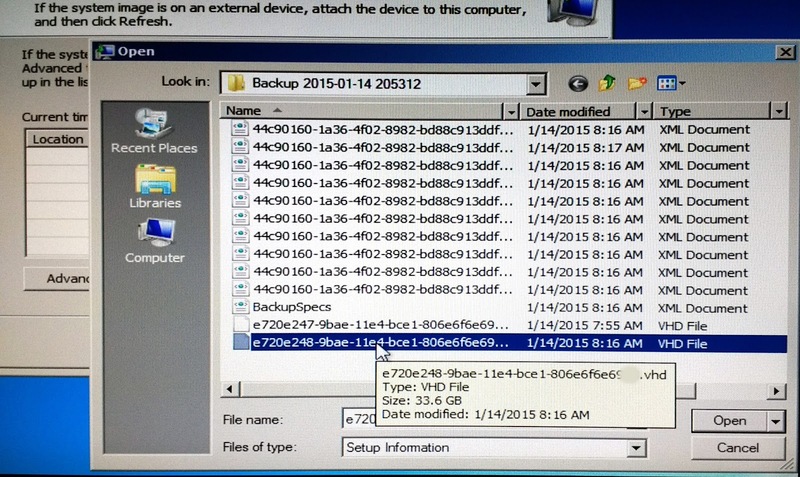 Along with preventative maintenance, routine backups are two important but neglected tasks for users. 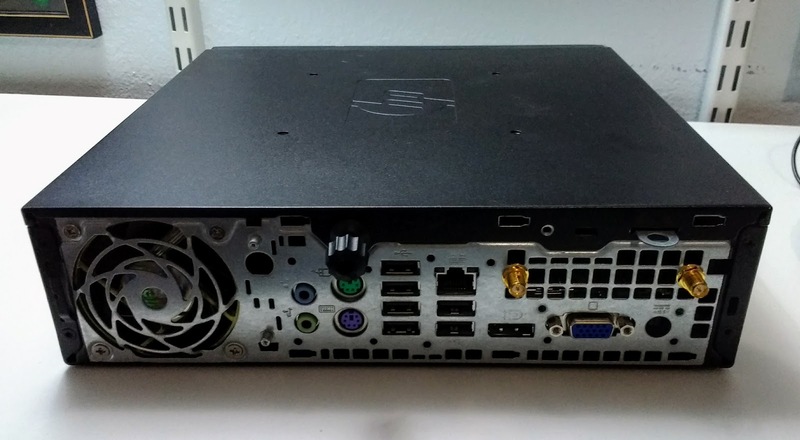 Most personal computers no longer come with operating system installation disks. A rescue partition with a recovery utility is all you get, now. That might be okay for some situations. However, if the entire disk is replaced, then there's no recovery utility to boot. 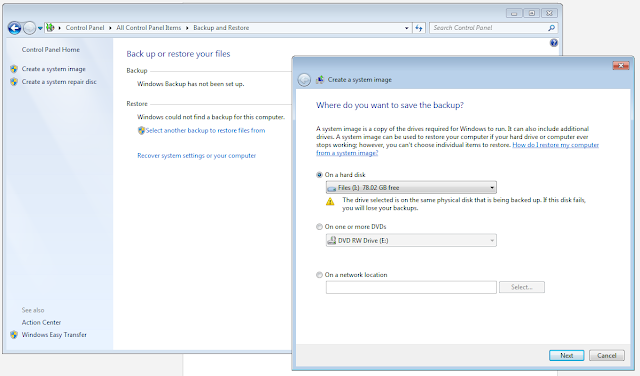 Fortunately, Windows 7 (and higher) has a native backup utility called Recovery. It's accessible through Control Panel as Backup and Restore. 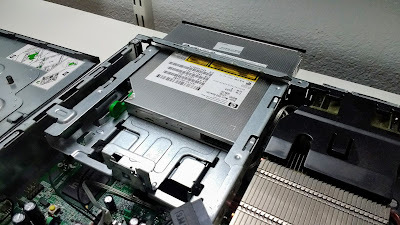 It can make a repair disk (CD) and a full system image. While in the OS, you can even choose to reinstall Windows. The recovery disk alone can't do that (it's just a bootstrap environment with some disk check utilities). You'll also need a source of installation files, such as a complete recovery partition or existing installation of Windows. That's great, unless you've replaced your system's HDD (including its recovery partition) with a blank SSD. I'm a fairly responsible user, so I keep system images (backup copies of the entire disk) ready. After the swap, I launched the System Recovery disk and plugged in my external storage with my backup image. 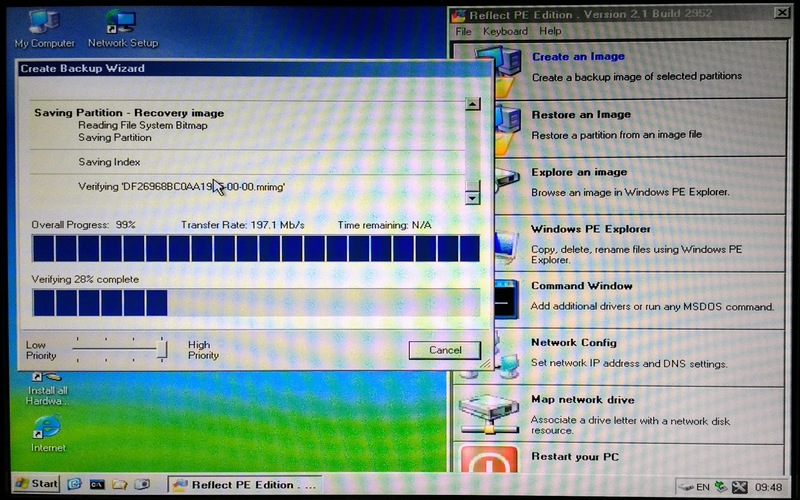 Whatever the case, Recovery wasn't going to let me copy my image using the native Windows utility. So, I busted out my copy of Hiren's Boot CD and tried to find something that could help. Clonezilla looked promising. It had a built-in .vhd to disk utility. Unfortunately, it wrote the data but the system wasn't bootable. It also had a .vhd to .img, which I then copied to the SSD. Still didn't work. Some forum guys recommended Macrium Reflect. I gave up on my Windows-made .vhd and opted to image my old HDD using Reflect. 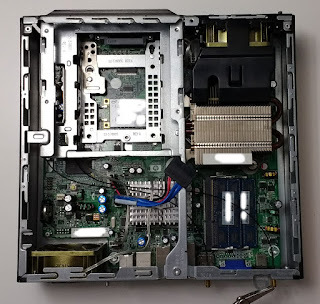 I swapped the HDD back in and made an .mrimg. 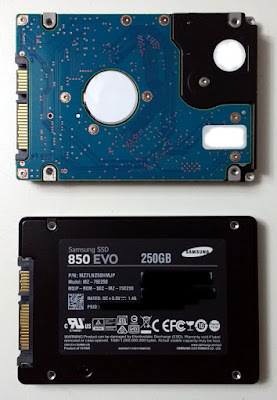 I swapped the SSD back in (my USFF tower only has one SATA connector). I partitioned the SSD to match, and used Macrium to write the .mrimg. That kind of worked. Windows wasn't bootable, but I could see all the right files in the right places. So I put the Windows Recovery disk back in, and managed to convince it that I had an existing installation that just needed fixing. So, it offered to reinstall. Let's do it! I buttoned everything up, spent hours installing software, and copied personal files from my backup-backup location. I have to say, SSD is remarkably faster. It only took VeraCrypt about an hour to encrypt the entire drive. The old HDD took overnight for less storage. This got me wondering about two things. First, why did my Windows image fail? 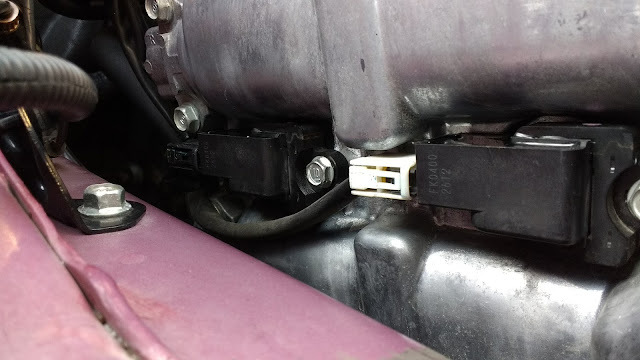 Second, was this re-installation method legal? To study my first question, I made a fresh Windows Recovery image on the newly finished system and immediately rebooted into the Windows Rescue Disk. 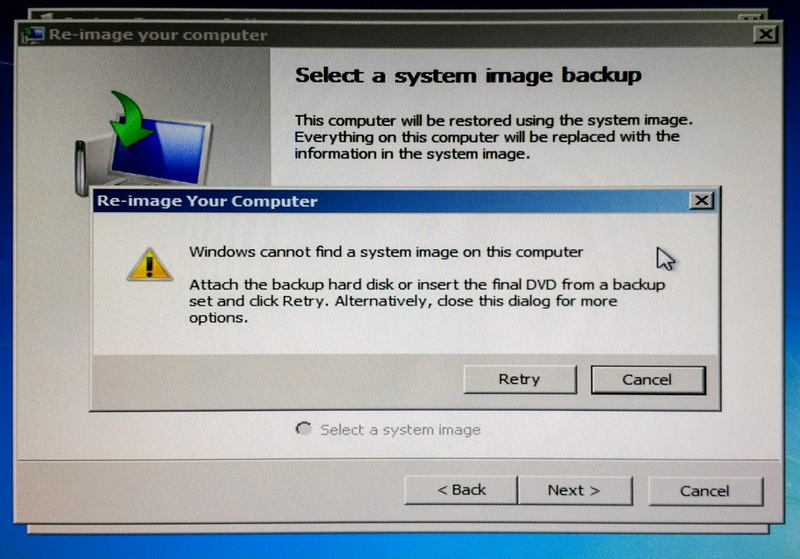 No joy--Windows still "cannot find a system image." I didn't change anything, so there's no good reason for that to happen. I won't be relying on Recovery, anymore. Maybe I'll switch to Reflect since it really pulled through for me. The second question reminds me of an existential thought exercise. If a broom's worn head is replaced with a new one, is it still the same broom? What if the repaired broom then has its handle replaced? How much of the original system can we swap before it is no longer the original? Does a new hard drive make a new computer? 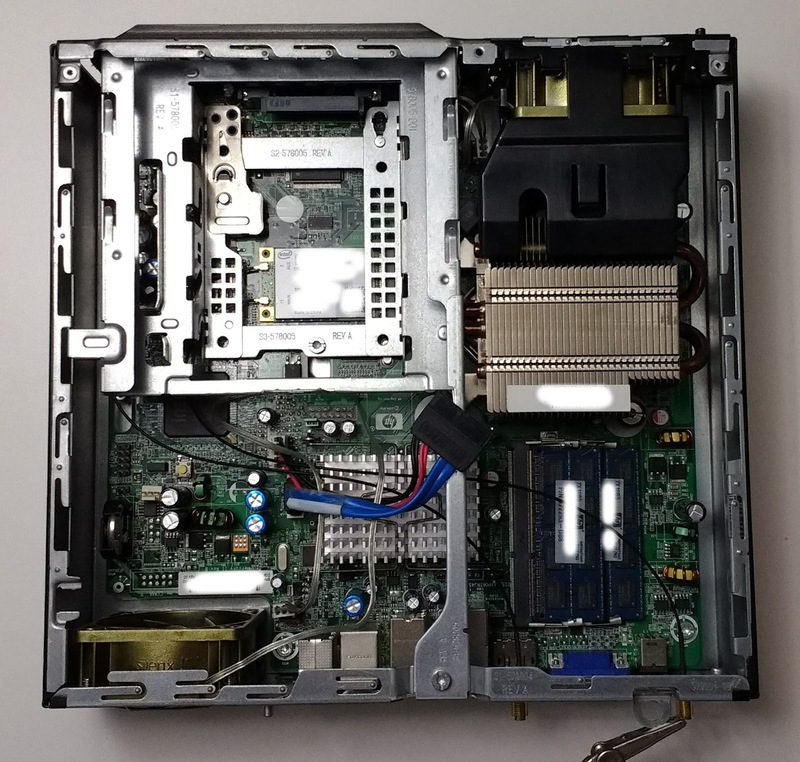 The OEM Windows license is for a single computer. I wonder if some of the imaging failures are meant to prevent unauthorized copying. Anyway, I'm not a lawyer. 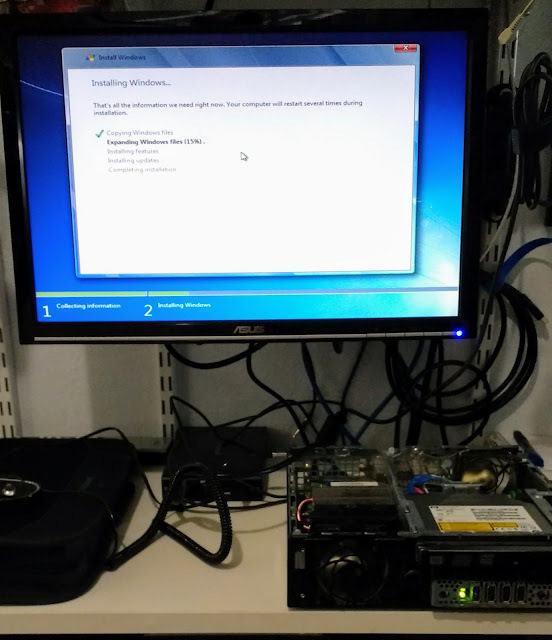 As far as I'm concerned, my Windows license is still on the same computer it was originally installed on... merely faster. 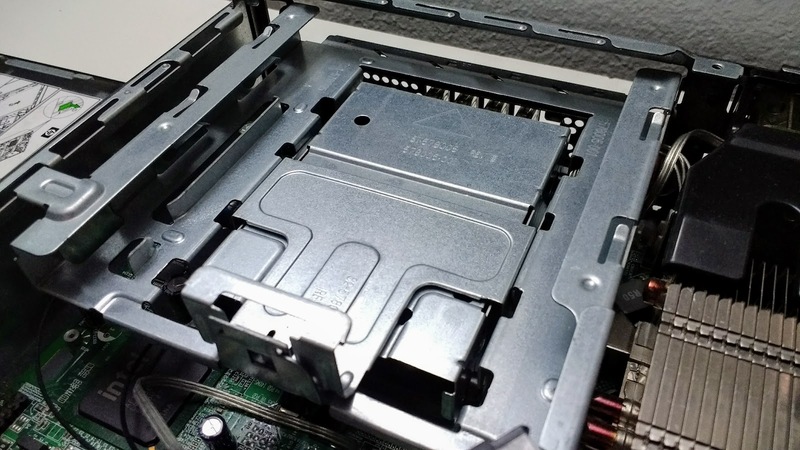 Dig into the peripheral slots until we get to the disk. 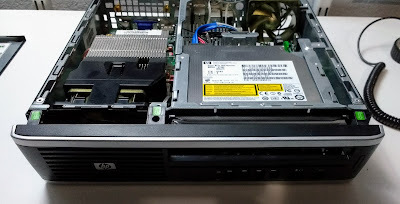 Just exchange the old SATA drive for the new one. Then came the hard part... Reinstalling Windows without an installation disk. In a quest to get back into film photography, I spent a long while lusting after vintage SLR like a Nikon FM-2 or Canon AE-1. My motivations were mostly boredom and nostalgia. I eventually came to the realization that I enjoy sharing my photos, and that the world has gone digital. The prospect of digitizing film made me remember days of scanning negatives and prints of old family albums. It was awful. I'll stick with my digital bodies. Enter instant film. I mostly use it to give out instant souvenirs at social events. 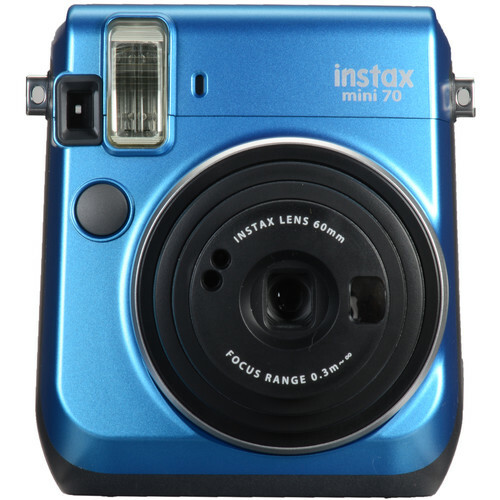 The current market for self developing film is dominated by Fujifilm's Instax line. The typical "mini" version is 54 x 86mm, 800 ISO, color film. 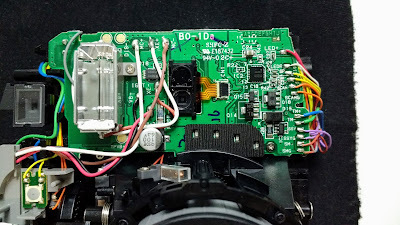 There is a variety of cameras to choose from, but I settled on the cheapest bare-bones unit knowing I would tinker with it. Also, the reviews for the fancier ones were plagued with electronics failures. The Mini 8 has a 60mm prime lens (single element plastic optic) and a mechanical shutter fixed at 1/60s. Aperture is a user-selectable rotating plate with different holes for f/12.7, f/16, f/22, and f/32. Flash is compulsory. I used the Mini 8 for a while but wanted additional functionality: 1) tripod mount, 2) remote release/timer, 3) flash control. My tripod mount is a 1/4-20 tee nut. I found some void space and step drilled a hole in the body to slip fit. I pinned it with one screw then epoxied it all in place. Goal 1 accomplished. The camera is driven by a single hobby motor. A rather complicated gear, lever, and cam system cycles the shutter, flash, and film rollers. 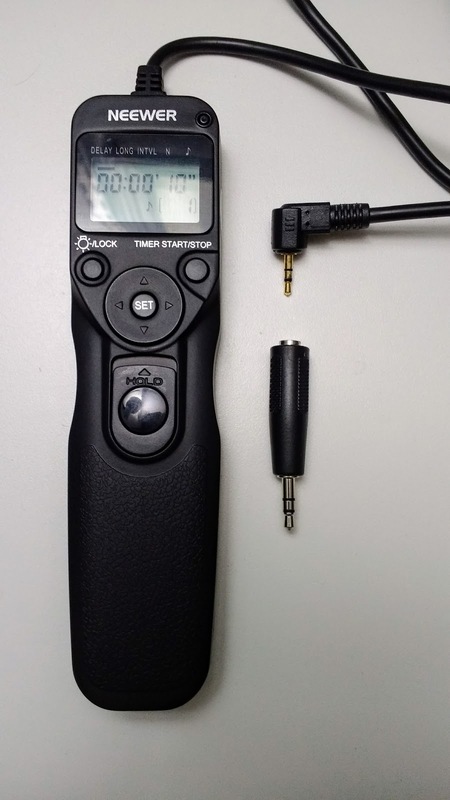 The shutter release button is a single pole single throw switch. I tapped the circuit by soldering wires to the corresponding pins on the PCB. I had to map the pinout by visually tracing wires and checking continuity with a multimeter. 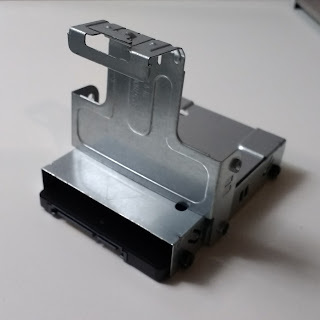 Most of the exposed leads are for various switches. I decided on 3.5mm audio jack as my port because it's compact. I rigged up a push button SPST and housed it in some PVC fittings. The cable is a 3.5mm stereo patch cord. Depressing the push button closes the "SP" circuit to begin the shutter cycle. I still need to rig up some kind of timer, but the hard part of getting the signal out of the body is done. Canon shutter remotes happen to use the same stereo pinout that I chose. Adapting an off-the-shelf intervalometer turned out to be the best way to get timed release. I thought I could toggle the flash by interrupting the "SSY" switch. That's the circuit triggered during shutter opening. I think the SSY circuit ground clamps, because cutting the SSY leads didn't stop the flash from firing. I couldn't interrupt the high voltage side of the flash capacitor (I don't think I could fit an appropriate 320V switch into this little body). I would have cut off the 3V side, but there are some charging electronics and sensors that probably would have disagreed with my meddling. I'll leave this issue for another intrepid individual. Copyright (C) Paolo Baltar. Picture Window theme. Powered by Blogger.